Prepared by Iain Jackson. Links from here take you either to articles themselves or online shops where you can buy the book or magazine. Antoniou, J. (2003). "Chandigarh: Once the Future City." The Architectural Review1273: 70-75. CCA (2002). Chandigarh: Aesthetic legislation, documentation of urban controls in Chandigarh (1951-2001), Chandigarh College of Architecture. Chandigarh-Administration (2003). Chandigarh [1954-2003] Souvenir Booklet. Chandigarh, Chandigarh Administration. Correa, C. (1964). "The Assembly, Chandigarh." The Architectural Review135(1). Drew, J. (1953). "On the Chandigarh Scheme." Marg6(4): 19-23. Evenson, N. (1966). Chandigarh. Los Angeles, University of California Press. Fry, E. M. (1961). "Problems of Chandigarh Architecture." Marg15(1): 20-21, 25. Gordon, C. and K. Kilian (1992). ANQ document - Chandigarh: Forty Years After Le Corbusier, Architectura & Natura Press. Joshi, K. (1999). Documenting Chandigarh. Ahmedabad, Mapin. Joshi, K., Ed. (2005). Corbusier's Concrete challenges of conserving modern heritage. Chandigarh, Chandigarh Perspectives. Kalia (1987). Chandigarh: The making of an Indian City., Oxford India. Kalia, R. (1987). Chandigarh in search of an identity, Carbondale:university of Southern Illinois Press. Krishan, G. (1999). Inner Spaces - Outer Spaces of a planned city. Chandigarh, Chandigarh Perspectives. Malik, A. "Post-Colonial Capitals of South Asia: A Critical Analysis of Chandigarh, Dhaka and Islamabad." GBER3(1): 68-80. Malik, B. K. (2004). City planning and realities: A Case Study of Chandigarh. City Futures, University of Illinois, Chicago. Perera, N. (2004). "Contesting visions: hybridity, liminality and the authorship of the Chandigarh plan." Planning Perspectives19: 175-199. Prakash, V. (2002). Le Corbusier's Chandigarh: The struggle for Modernity in postcolonial India, Seattle: University of Washington Press. Sarin, M. (1975). Planning and the Urban Poor: The Chandigarh experience 1951-1975, University College London. Sarin, M. (1982). Urban planning in the Third World : the Chandigarh experience. London, Mansell,. Schmetzer, P. I. W. (1974). "Chandigarh Twenty years later." Architectural Design44. Takhar, J. (1999). Celebrating Chandigarh. Ahmedabad, Maplin. Anderson, B. D. (2006). "Concrete Kingdom: Sculptures by Nek Chand." Folk Art31(1-2): 42-49. Aulakh, M. S. (1986). 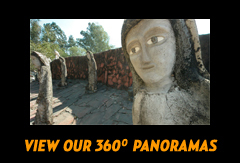 The Rock Garden: A panorama of the life-work of Padam Shri Nek Chand. Ludhiana, Tagore Publishers. Bandyopadhyay, S. and I. Jackson (2007). The Collection, the Ruin and the Theatre: architecture, sculpture and landscape in Nek Chand's Rock Garden, Chandigarh. Liverpool, Liverpool University Press. Bhatti, S. S. (1982). Rock Garden in Chandigarh: a critical evaluation of the work of Nek Chand. Queensland, The University of Queensland. Bhatti, S. S. (1988). "Rock Garden Di Nek Chand." Casabella52(550): 21. Bhatti, S. S. (1989). The Rock Garden of Chandigarh. Raw Vision Magazine. 1: 22-31. Bhatti, S. S. (1990). "Rock Garden, Chandigarh." Indian Institute of Architects Journal55(2): 31-38. Bhatti, S. S. et al (). Nek Chand Shows the Way. Waterman's, London. Chandigarh Newsline(20 July 1996). "Art Damaged in Rock Garden." Chandigarh Newsline. Chandigarh: no pagination. Chauhan, U. (03/09/1994). "Rock Garden - the old and the new." The Tribune. Chandigarh: 19. CITCO Rock Garden. Chandigarh, Chandigarh Industrial & Tourism Development Corp Ltd.: no pagination. Ditzen, L. (1991). Nek Chand. Berlin, Haus der Kulturen der Welt. Irish, S. (2004). "Intimacy and Monumentality in Chandigarh, North India: Le Corbusier's Capitol Complex and Nek Chand Saini's Rock Garden." Journal of Asesthetic Education38.2: 105-115. Jackson, I. D. (2002). "Politicised Territory: Nek Chand's Rock Garden in Chandigarh." GBER2(2): 51-68. Jackson, I. D. (2004). Nek Chand's Rock Garden. Jackson, I. D. (2005). "Le Royaume De Nek Chand." Raw Vision. 53: 69. Kumar, K. (2003). My Heart and Soul Lives Here. The Financial World. Chandigarh. Lespinasse, P. (2005). Le Royaume De Nek Chand. France: 52 minutes. Magnier, Mark (2011). "In India, a secret garden that rocks" L.A.TimesDecember 6, 2011. Mahoney, Robert (1988). "Hoard of Trash Becomes Works of Art : Indian Elevates Garbage to Sculpture" L. A. TimesJan 31, 1988. Maizels, J. (1997). "25 Years of Nek Chand's Rock Garden." Raw Vision Magazine. 35: 23. Morris, R. (2000). "Nek Chand at Kohler conference and exhibition." Raw Vision. 31: 20. Negi, A. S. (2001). "Nek Chand's Bicycle." Raw Vision Magazine. 35: 29. Prashar, A. S. (2003). Nek Chand may bag another award. The Chandigah Tribune. Chandigarh. Rajer, A. (2000). Nek Chand's Story. The Folk Art Messenger. 13:1, 4-9. Rajer, A. (2001). Rock Around the Rock Garden in Chandigarh. The Folk Art Messenger. 14:2, 23-25. Rajer, A. (2005). "Another Nek Chand Garden - in South India." Raw Vision. 53: 10. Raw Vision (1997). Nek Chand News. Raw Vision. Raw Vision (2000). "Nek Chand additions to Kohler Arts Centre." Raw Vision. 29: 14. Raw Vision (2006). "Nek Chand Retrospective." Raw Vision. 54: 8. Rawinsky, G. (2003). "A Fantasy Land, or the soul of the city? The Nek Chand Rock Garden, Chandigarh, India." The Follies JournalNumber 3 Winter 2003: 43-52. Reeve, P. (1994). "A visit with the Master: The Creative Genius of Nek Chand." Raw Vision Magazine. 9: 34-42. Russell, C. (2006). "Concrete Kingdom: Sculptures by Nek Chand." Raw Vision. 55: 65. Saxena, M. (1995/11/18). Mela culture at Rock Garden. The Tribune. Chandigarh: 19. Schiff, B. (1984). "A fantasy garden by Nek Chand flourishes in India." Smithsonian15: 126-35. Sharma, M. N. (2001). "Nek Chand: an early encounter." Raw Vision. 35: 28. The-Tribune (March 29 1992). Spurious Cement stalls work at Rock Garden. The Tribune. Chandigarh: 12. Vale, L. J. (1992). Architecture, Power and National Identity, Yale University. Berge, J. T. (1999). Masters of the Margin. Zwolle, De Stadshof museum for naive art and outsider art. Cardinal, R. (1972). Outsider Art. London, Studio Vista. Eliel, C. E. and B. Freeman (1992). Contemporary Artists and Outsider Art. Parallel Visions: Modern Artists and Outsider Art. M. Tuchman and C. E. Eliel, Los Angeles County Museum of Art. Maizels, J. (2000). Raw Creation: outsider art and beyond, Phaidon Press. Maizels, J. (2003). "Creator of a Magical World." Vernacular Visionaries, International outsider art. A. Carlano, Yale University Press. Moran, L. (2002). "Outsider Art: Inside or Out?" NCAD Thoughtlines6 6: 126-132. Rexer, L. (2005). How to look at outsider art. New York, Harry N. Abrams. Rhodes, C. (2000). Outsider Art Spontaneous Alternatives. London, Thames & Hudson. Tuchman, M. and C. E. Eliel, Eds. (1992). Parallel Visions: Modern Artists and Outsider Art, Los Angeles County Museum of Art. Zolberg, V. L. and J. M. Cherbo, Eds. (1997). Outsider Art: Contesting Boundaries in Contemporary Culture, Cambridge University Press.